For the past decade, people have already observed how volatile fiat currency is all throughout the world especially when the US experienced one several years ago. As time passes by, inflation or the rising of prices of commodities is already becoming a usual phenomenon – burdening the middle and other classes of society in the process. As a result, people are losing their purchasing power and derive lesser value of their money’s worth. The same has happened when the currency in Europe, in Greece in particular, imploded when it has experienced an economic collapse. The value of their currency no longer holds much value as it has to pay so much debt and even, needed bailouts in order for it to survive. There is no doubt about the fact that financial crises loom over most major economies. And when this happens, the savings and investments we put in the banks are no longer as safe and as fail-proof as we think they are before. This is where the need for the diversification of investment portfolio comes in. As what Warren Buffett says, one should not put all eggs in one basket. And this word of wisdom reverberates throughout the years. People who have invested only their money on bonds and currencies have been negatively affected when the nation experienced a drastic economic meltdown during the ’08 and ‘09s. Whereas, if one diversified his or her investments, a fall in the value of one can be balanced with an equity which retains its worth despite the decrease in the value of the dollar. Current news will tell that the US Government has undertaken various fiscal and economic policies to survive the financial crisis it has experienced. Interest rates have been increasing and even the money supply of the country has been currently experiencing inflation. More and more people are becoming aware of this fact and so, caused the prices of good to be more expensive. Financial experts and even, investors themselves recommend that investing in precious metals can be good in serving as a hedge against risk. 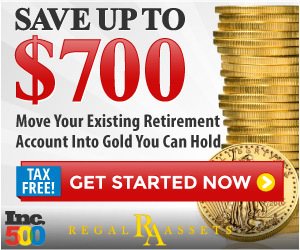 Understand the nature of investing in precious metals. Every form of investment will always have its own advantages and disadvantages. And at a time when people are already losing their trust and faith towards the US currency, this leads to its devaluation and inflation of commodity prices. Gold and silver, together with other types of precious metals, possess intrinsic value that is not easily and immediately affected when there is an economic crisis. On the other hand, metals do not offer any immediate earnings or income. It is mostly considered by the investors, or proponents as a protection against inflation. Decide which precious metal investment will be the best for you. There are a wide variety of precious metals available. In fact, each and every one of them also has various forms and kinds. They can be bought and sold as newly minted coins, antique coins, mutual funds, bullions and ETFS or exchange traded funds. You also have to decide if you want gold, silver, palladium or platinum. Consult an expert in precious metal investment. If you are still undecided on what, how and where to invest, the best way to go to is to consult with an expert well-versed in precious metals investments. He or she can suggest various investment vehicles fitted for your lifestyle, budget or preferences. You can also be more rest assured that the investment you will make is wise.